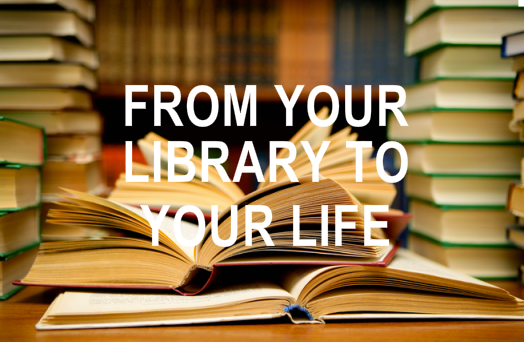 What is the distance between your library and your life? Just as making many books there is no end, reading many books there is no end. Much reading is a weariness of the mind and is not useful UNLESS you respond to what you are reading. It’s important to pick up and read a book. It’s as important to put your book down and get things done. READ, REFLECT, RECORD, RESPOND and REVIEW your life in light of what you read. And repeat the whole process.